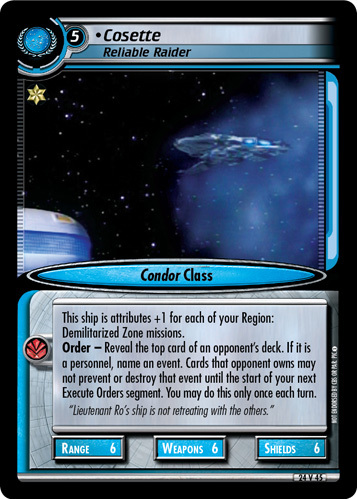 To staff this ship, you must have a personnel who costs 3 or more aboard. 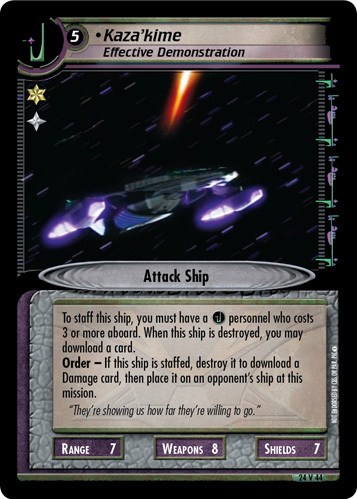 When this ship is destroyed, you may download a card. 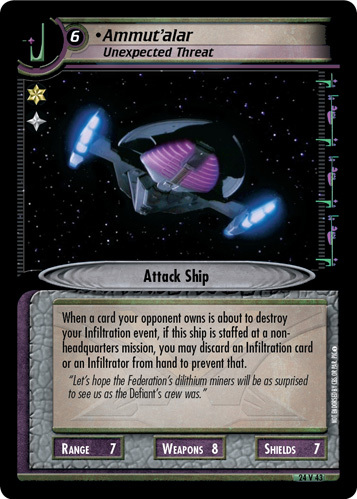 Order - If this ship is staffed, destroy it to download a Damage card, then place it on an opponent's ship at this mission.